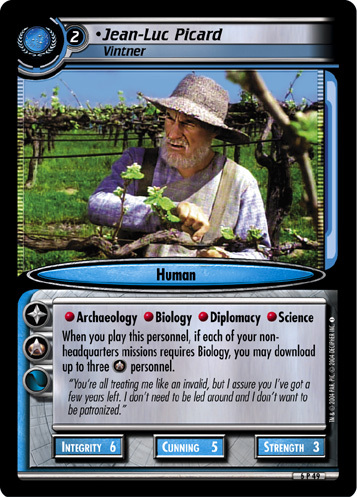 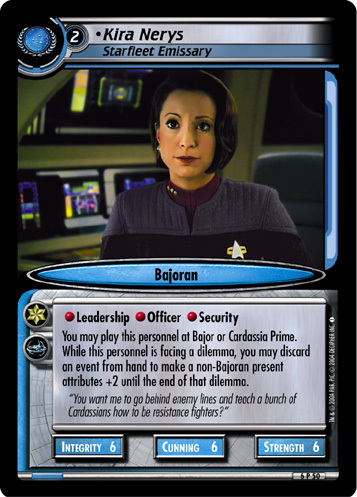 You may play this personnel at Bajor or Cardassia Prime. 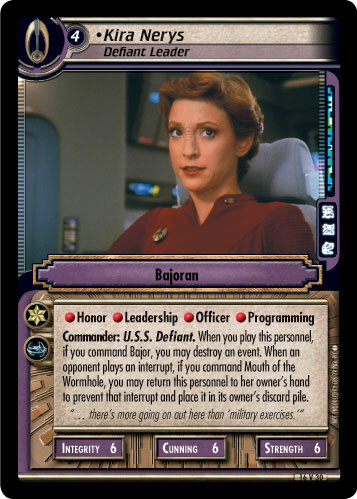 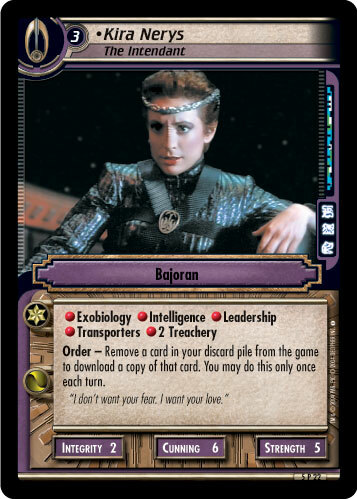 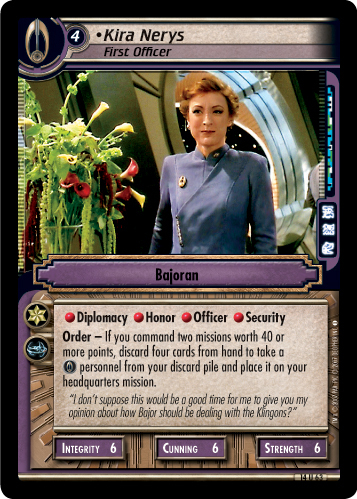 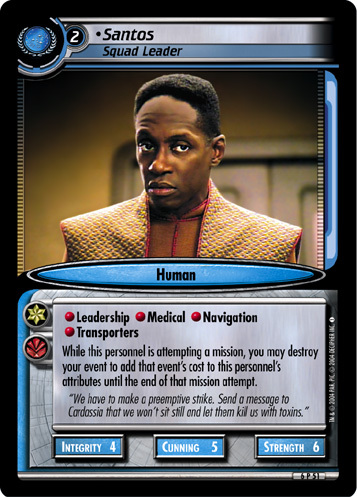 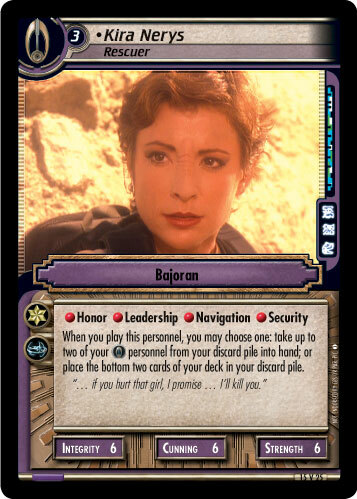 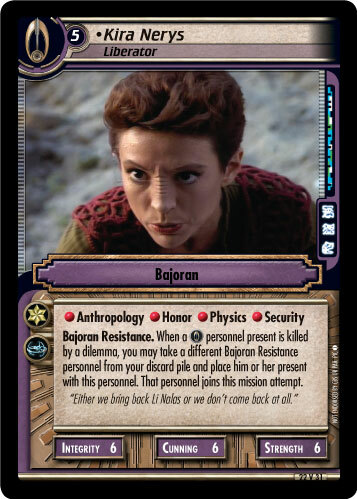 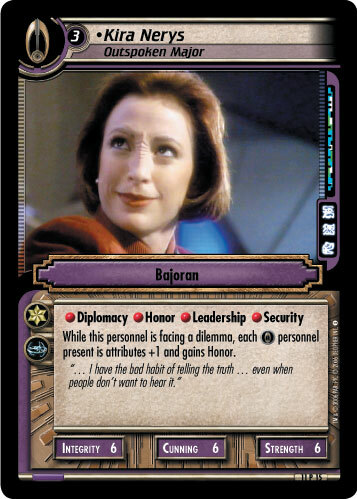 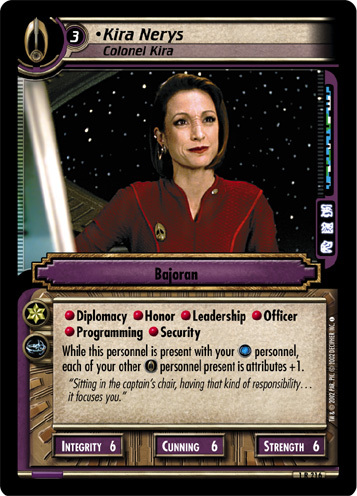 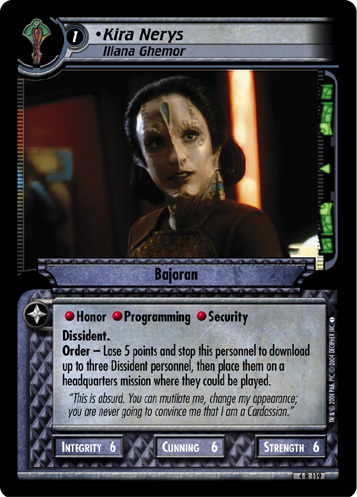 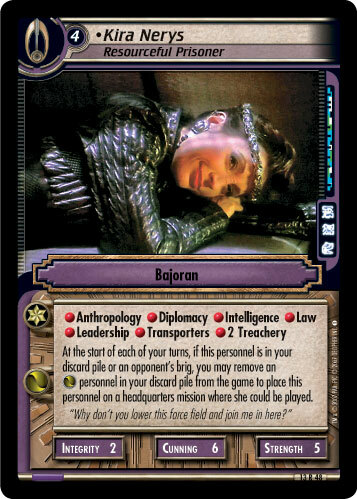 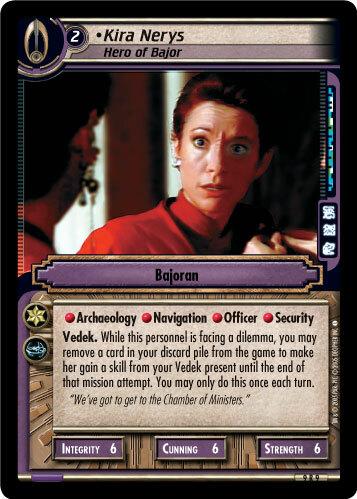 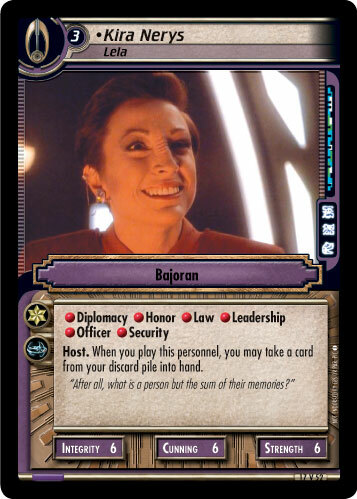 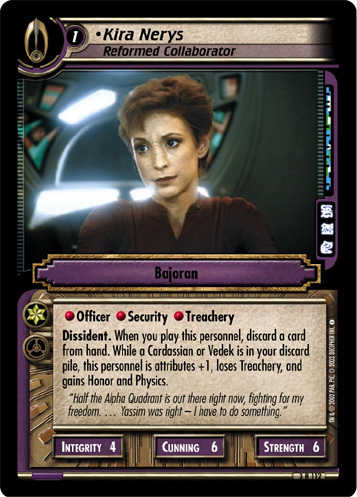 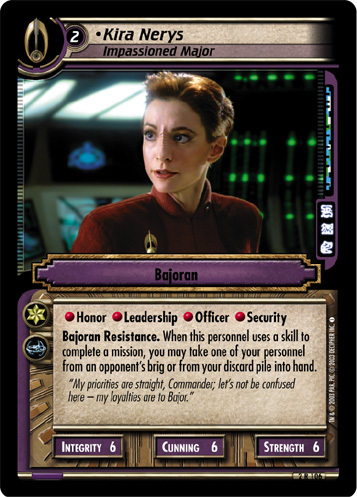 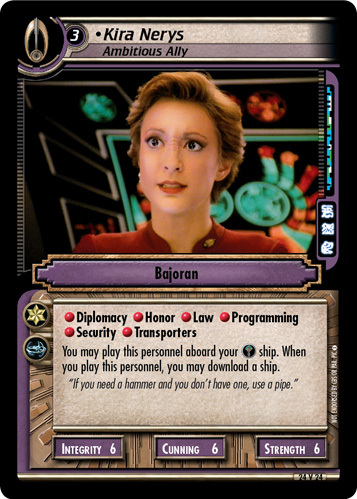 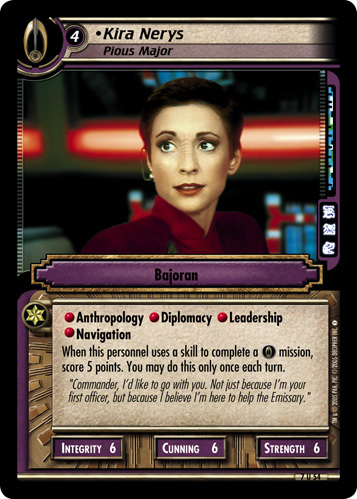 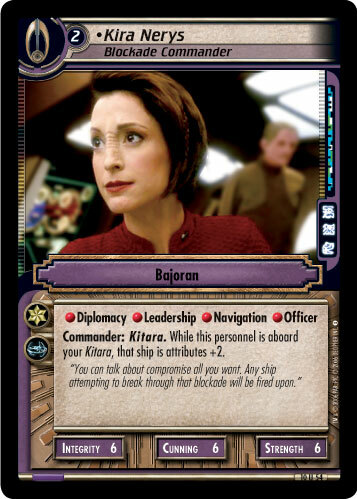 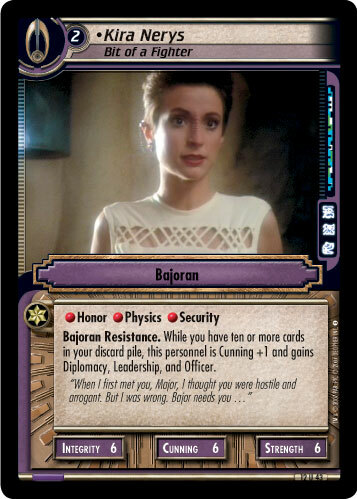 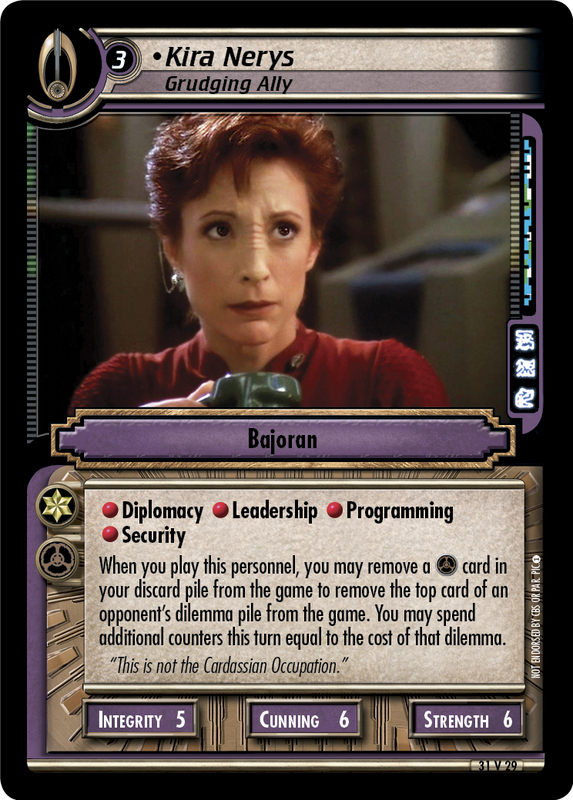 While this personnel is facing a dilemma, you may discard an event from hand to make a non-Bajoran present attributes +2 until the end of that dilemma. 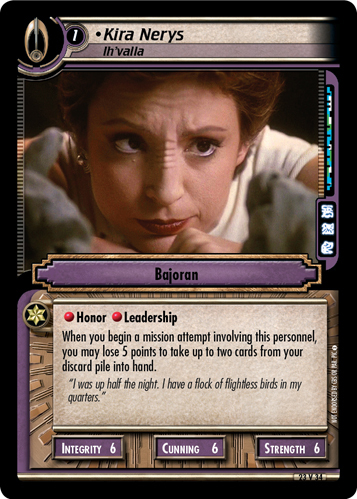 "You want me to go behind enemy lines and teach a bunch of Cardassians how to be resistance fighters?"